How owners can list the home ? 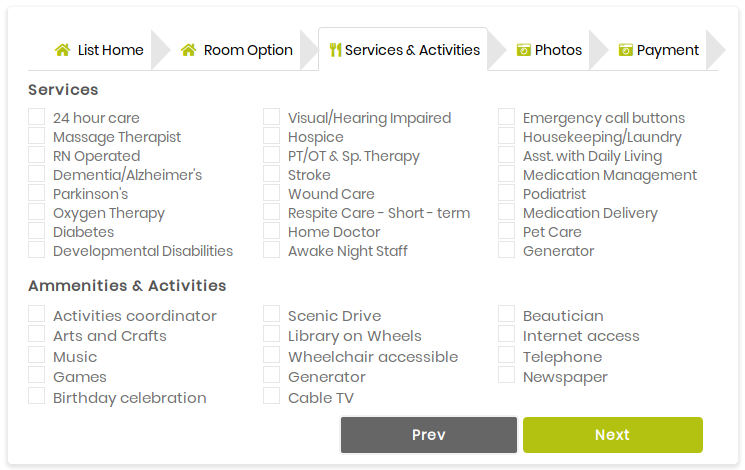 Are you interested in listing your Senior Care Home with Adult Family Home Solutions? Here is a quick step by step process of how you can list your home or you can also go through over video tutorial..
We help the homeowner to list their home for the end users through Adult Family Home Solution LLC. We provide you the option where you can select the room option for your home. You can select the services and activities which you want to provide to the seniors. You can attach photos of your house so that the users can get clear ideas about your home. 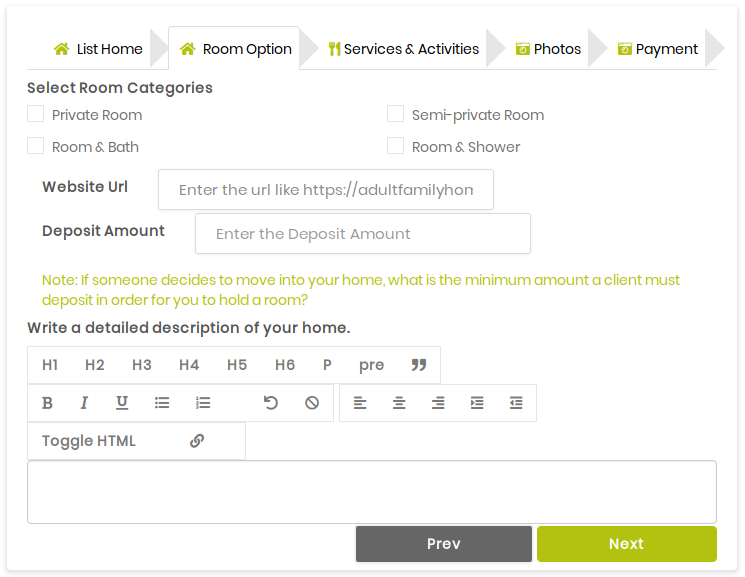 You can list your own home with very less amount of money and can choose your subscription plan. 1. 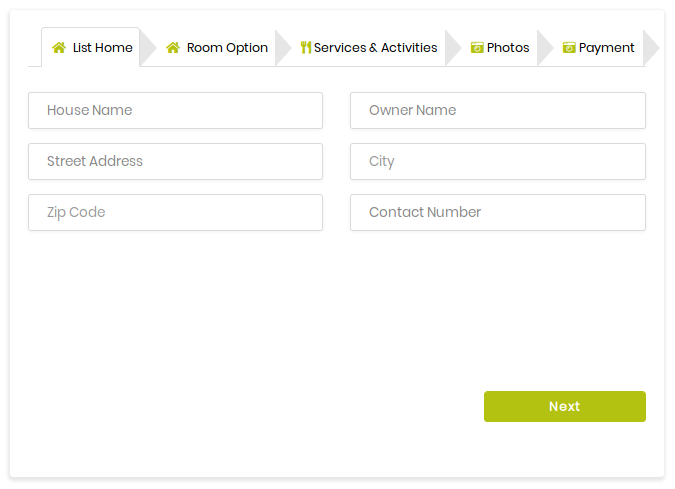 There are four room categories are mention over here, you can select your room as per your choice. 2. After selecting your room, one more block will appear in front of your selected room which shows number of rooms. You have to select how many rooms you want. 3. Add your website URL for easy reference at website URL block. 5. Give a brief description of your home at last block of the page, allowing families of potential residents to know what your home is about. 2. If there are services and activities that do not appear on this list, please notify us (support@adultfamilyhomes.org) so that we can add them to the list. 1. The more images you provide, the more interest there will be in your home. 2. Provide a featured image, which will appear on the front of your listing, as well as additional images that provide a great visual of your home. 3. Feel free to upload multiple images. We only ask that your images have the following formats: .jpg. jpeg or .png. 1. Your monthly or yearly subscription will ensure that our registry will be advertised through google, facebook and other outlets. 2. 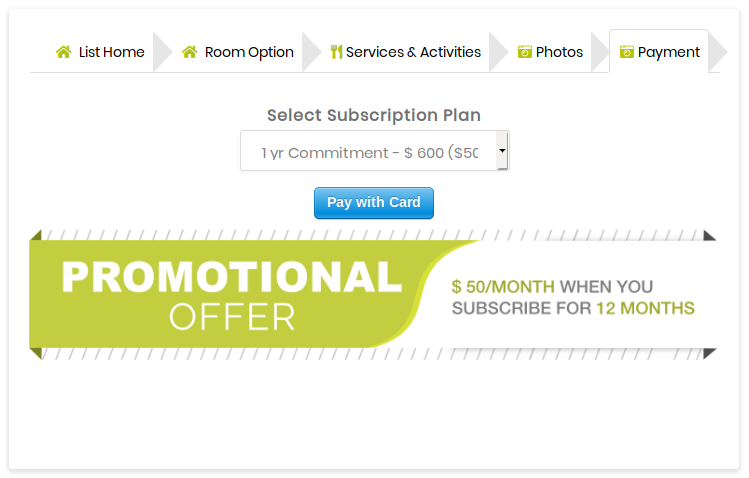 If you sign up for the 12 month subscription, it will take you over 8 years to pay the equivalent of a $5000 commission that you might pay elsewhere.